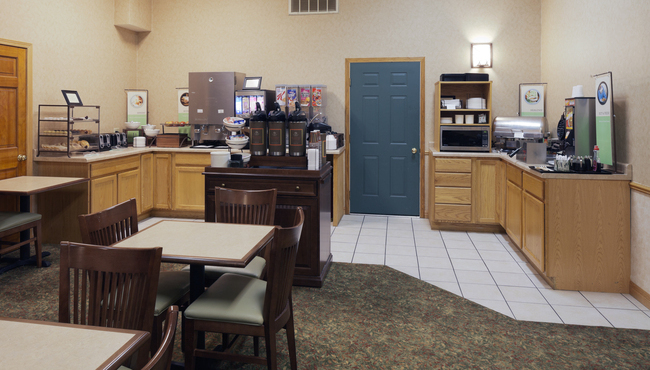 Gear up for a day of cycling on the Elroy-Sparta State Bike Trail with the complimentary, hot breakfast at the Country Inn & Suites, Sparta, WI. Enjoy favorites like fluffy homemade waffles, tasty pastries and more. If you’re looking for lighter fare, check out our selection of cereals, yogurt and fresh fruit. When you’re ready for lunch or dinner, visit one of the nearby restaurants, like Sparta Family Restaurant for burgers and wings or Ginny’s Cupboard for ice cream and root beer floats.